To give participants who attend the course awareness of the needs of disabled people. It is important that disabled people who wish to participate in sport and leisure activities are offered the correct help and understanding of their needs at the point of contact e.g. when entering the sports/leisure centre. How with the right help and adaptations disabled people can be included in sports and leisure activities. Disabled people must be offered to participate in all aspects of sport and leisure; it is important that staff/coaches/instructors are aware of the needs of people with disabilities e.g. disability awareness, communication skills, correct format of information to the client. To have greater spacial awareness and awareness of your body and mind. It is important to have an awareness of your own body and mind while working with disabled people so that you are aware of the persons disability, you know how to spot if someone has a hidden disability and have the knowledge of how to support a disabled person if they need help. Spacial awareness is also important when working with a disabled person as you need to know if there are adaptations that need to be made in the room/hall and if there is any specific needs that need to be met of the disabled person. To gain key personal skills and develop, empathy, confidence, self-esteem and team cohesion. Participants who attend the course will gain key personal skills such as an awareness of the needs of people with a disability and how to include them into activities through their organisational role in a safe and knowledgeable manner. 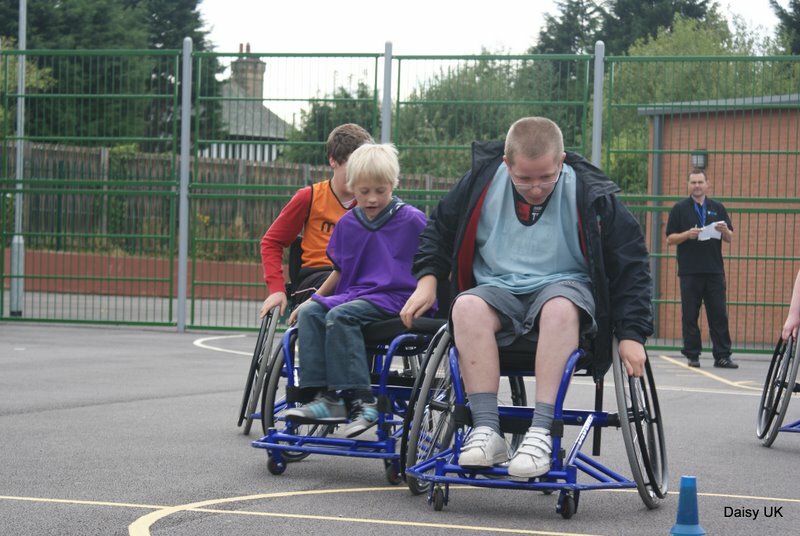 Increase the number of disabled people taking part in sport and leisure activities. Some of the major barriers for disabled people in sport and leisure activities are; accessibility, lack of disability awareness from staff, instructors and coaches and lack of inclusive activities available. The retention of disabled people in sports and leisure. It is important for disabled people to feel relaxed and comfortable in new environments. If all aims and objectives are acted upon, there will be more disabled people actively taking part in sports and leisure and the retention rate will be high. To know how to communicate sufficiently and effectively with someone who is disabled. Being able to communicate properly with someone who is disabled is crucial as this is a major barrier that can prevent disabled people from being part of an inclusive society. We are able to deliver half and full day courses. Contact us on (0151) 261 0309, email us at info@daisyuk.com or use our Contact Form for more details.